This is the smallest of our fits, worn like a second skin and with a Regular Rise. 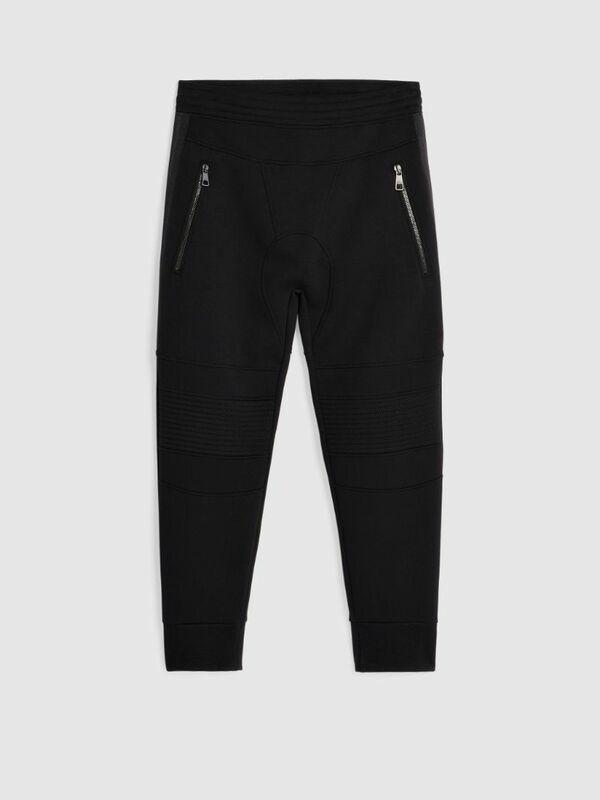 Always in stretch fabrics. 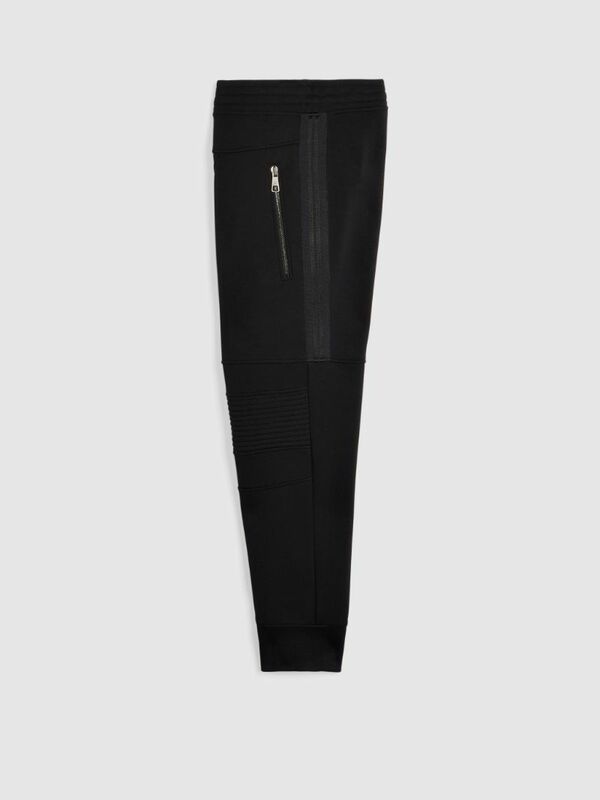 These black cotton blend sweatpants hug the leg with structured seam detailing that is accented by biker stitching and grosgrain side stripes. 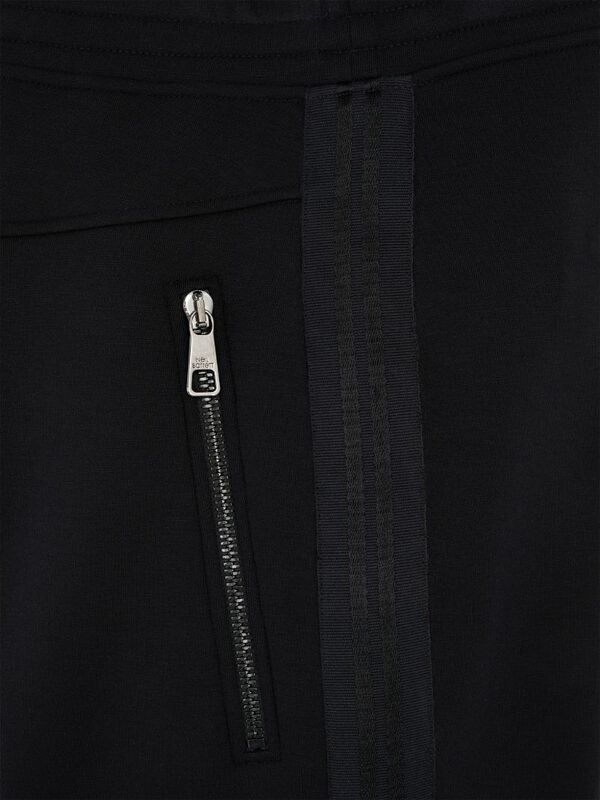 Featuring zipped pockets on the sides and back, they are finished with gathered cuffs for comfort and flexibility.